Forgiveness is central to faith because it is central to life. No relationship can survive without the ability to forgive, but sometimes we are hurt so deeply or so often that forgiveness appears impossible. 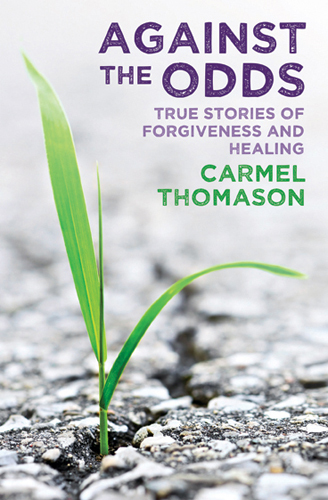 This collection of inspirational true stories demonstrate the healing power of forgiveness through ordinary people’s experiences of war, crime, terrorism, betrayal, relationship breakdown and the uncertainty of life’s path. Aimed at both individual reflection and group study, each story is followed by thoughts from a practitioner or church leader, which can be used to open a conversation about what you’ve just read, and questions to help you think about the wider issues raised. Wherever you are in your life right now, this uplifting and practical book will encourage you to think about your own experience of forgiveness – how you might make this gift an everyday part of your life, let go of pain, restore relationships and live your life to the full. This book contains some extraordinarily powerful and compelling stories from those who have faced huge challenges in their lives. They tell of how they have overcome them, and in reading them many will find hope and fresh resolve to face their own situations – or to understand a little more about the experience of others. I recommend it. I read this book in one go, so absorbing did I find it. I strongly recommend it, for either individual reflection of use in a group.